Recurring injuries are annoying to athletes of all ages who want to compete at the highest level. They are also annoying to everyday people who want to enjoy the outdoors and recreational activities as well as those who just want to climb the stairs or sit at their computer without pain. Maybe they are annoying to you? “Why do recurring injuries recur”? Recurring injuries are likely to recur if you are just treating symptoms rather than getting to the underlying cause of the problem. Over the counter medication, prescription drugs, or anything else for that matter that is focused on artificially reducing inflammation or chemically numbing the pain can be a reason why injuries come back over and over again. Chemically altering the way you feel can lull you into a false sense of well-being while also setting you up for a recurring injury. Just because you feel better does not mean the problem is gone. Just because the pain has subsided does not mean the injury has been eliminated or corrected. It just means the pain is gone for now. This can lead to recurring injuries, severe and permanent problems as you age. When it comes to truly healing, sometimes the injury can be your best advocate. If you listen to your body’s Innate Intelligence rather than put it to sleep with drugs, you will be able to make choices that eliminate the underlying cause and support your long term health. 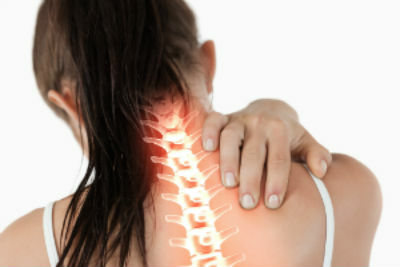 One of the most common underlying causes for many health problems and injuries is a condition known as vertebral subluxation. Vertebral subluxations are injuries to the spine and nervous system that can affect your health on every level. They can lie dormant and asymptomatic for decades or cause immediate pain and discomfort in any part of your body from head to toe including your organs, systems and muscles. The nerves in your neck are the most widespread in the body and can affect the function of your heart, lungs, stomach, shoulders, arms, wrists and fingers. The nerves in the lower back control the bladder, bowel, hips, legs and feet. Injuries in this area of the spine can cause unexplained recurring problems here and every other area supplied by these nerves. Vertebral subluxations are very often the reason why recurring injuries limit your life and return relentlessly. If you want to eliminate recurring injuries and get off the recurring crisis rollercoaster, you must continue with your consistent chiropractic care to give your body the opportunity to regenerate, adapt and strengthen itself with healthy nerve supply. Your personal habits and lifestyle choices have a lot to do with perpetuating or eliminating recurring injuries too. If your body is telling you not to run because of an injury that won’t go away, listen to it and go for a walk or ride a bike instead. If your body is telling you not to lift a certain way or with a heavier weight, listen. If it’s telling you to eat or not to eat a certain food, listen. Whether you plan to live as a high level athlete or just want to be able to do your daily activities with ease, taking the actions described above, listening to your body’s messages and responding to them wisely will enable you to eliminate recurring injuries and enjoy your ideal 100 Year Lifestyle.